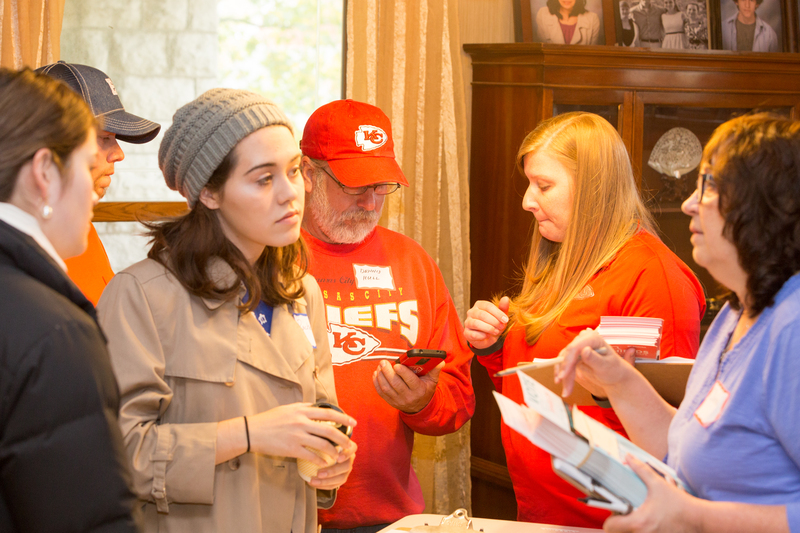 This morning in Lee’s Summit over fifty individuals showed up at the start of a full day of phone banking, literature drops, and canvassing for Hillary Shields, the Democratic Party candidate in the 8th Senate District special election. The election will take place this coming Tuesday. 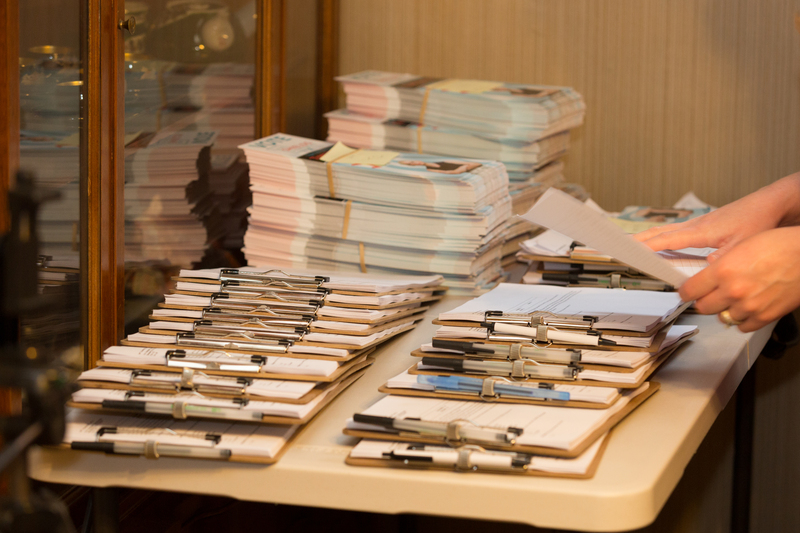 The Shields campaign is planning on similar field operations through to the close of the polls on Tuesday evening. By a number of reports and estimates the republican candidate, the republican establishment and other PACs have outspent Hillary Shields’ (D) campaign by close to a 10 to 1 margin. Turf and literature – ready to go. No one in the Kansas City metro media market can escape the incessant attack ads on television directed at the Democratic Party candidate, paid for by the usual suspects. That, and a deluge of attack mail paid for by right wingnut republican interest groups, is probably eating up a lot of republican campaign resources. 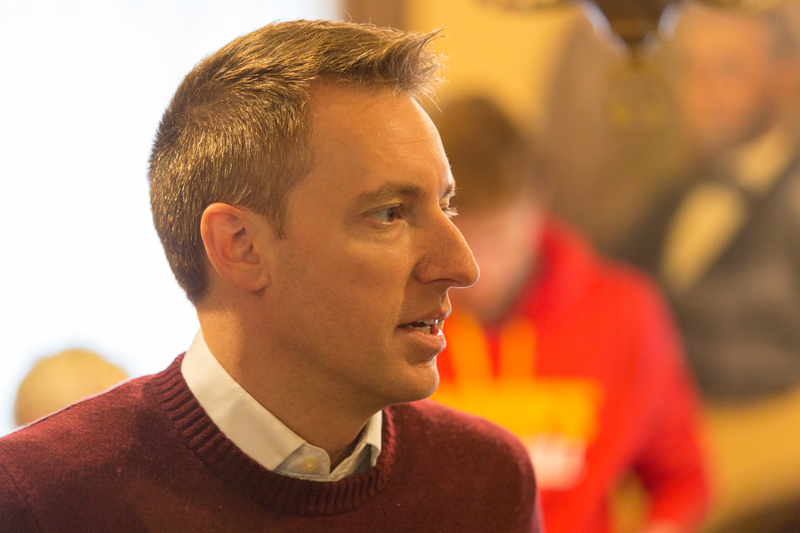 This morning former Missouri Secretary of State Jason Kander greeted early morning campaign volunteers before they set out to cover their assigned door to door turf.